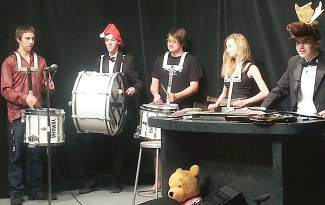 The Truckee High Drumline during the 2014 telethon, from left: Jake Hamilton, Jared Murphy, Dax Motarax, Sonya Breuch and Jenner Tresan. TRUCKEE, Calif. — The 15th annual Truckee High School Telethon will occur Saturday, March, 28 from 3-9 p.m. live on Truckee cable channels 6 and 24 and also streaming live at http://www.ttctv.org. The telethon is six hours of live entertainment, produced and hosted by Truckee High School band and film students. During it, those who would like to support the band may call in with donations for music requests and challenges for the students to perform. One hundred percent of donations support the Symphonic, Jazz and Concert Band programs at Truckee High. Music is an arts program at the high school offered each day, year round, allowing students to master one or more instruments and qualify for college awards and scholarships. The Truckee High Music Department is dedicated to making sure band opportunities are available for students of all socio-economic levels. “Band Tour” is one of the donor-supported programs and a focus of fundraising efforts during the telethon. Students travel by bus to multiple venues in Northern California, performing for veterans hospitals, senior centers and children’s hospitals, bringing music and joy to people who would not otherwise have this opportunity. This hands-on experience allows students to further their performance and music training, while also engaging in community service. 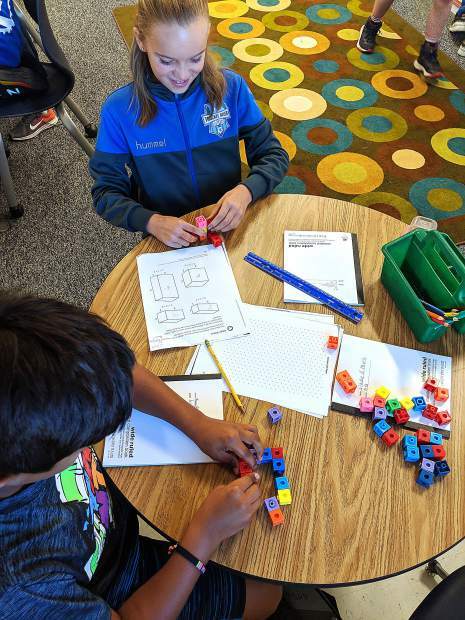 Band students have offered free music lessons to aspiring musicians at Truckee Elementary, played for patients at Tahoe Forest Hospital, as well as Sierra Senior Services and other community events. Students help with school musicals, including painting stage sets and offering technical assistance with sound and lighting. Band students conduct their own fundraising for many things including Band Tour, uniforms, instruments, scholarships, workshops and Clinics, competitions, and festivals such as Reno Jazz. The benefits of music programs for youth are well documented. Studying music encourages self-discipline and diligence, traits that carry over into intellectual pursuits and lead to effective study and work habits for future success. To support this program, call 530-582-2777 during the telethon (lines are only active during the telethon), or visit http://www.thsbands.org any time to donate by check or credit card. Donations are tax-deductible and a receipt will be mailed after the event. Jesse Steele is music teacher at Truckee High School.